Backed by our extended warranty! Compact and easy to use, the Belkin (Cisco) DPC3008 Time Warner Compatible modem provides high-speed Internet connectivity for your home or office, without the monthly modem rental fee. It supports download speed up to 340Mbps and upload speed up to 120Mbps, thus you can enjoy the broadband network the way it was meant to be. With the Gigabit Ethernet port that provides blistering fast network connection, you can plug in a computer/laptop, or router to expand your network connectivity. Plus, with DOCSIS 3.0 and IPv6 support, this Time Warner Compatible modem ensures up-to-date performance and future proof your network. MULTIPLE CHANNELS: Channel bonding for powerful throughput of up to 4x faster than DOCSIS 2.0. GIGABIT ETHERNET PORT: Transfer data 10x faster than Fast Ethernet, ensuring high-speed connectivity for wired devices. EASY SETUP: Simple 3-step setup. No software required. CUT YOUR MONTHLY TV BILL NOW! The Linksys DPC3008 Time Warner Compatible modem is the simple way to get ultra-fast broadband internet and is compatible with major cable providers. Dimensions: 4.80" x 1.10" x 4.80"
Requires an existing cable account. If you don't have an existing cable account, contact your local cable provider to sign-up for broadband internet service. Cable Service Providers supporting DOCSIS 3.0, 2.0, and 1.1. Modem will not work with DSL Service. *Maximum speed varies depending on the service provided by the cable operator. Live Parental Controls – Free! 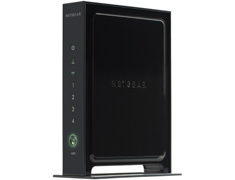 The NETGEAR N300 Wireless Router (Version 2) is ideal for both professional and personal Internet use, providing Wireless-N speed for simultaneous downloads, voice and music, and online gaming. Reliable and secure, it comes with free Parental Controls to ensure a safe Internet experience. Items are in refurbished condition without box with EXTENDED WARRANTY! 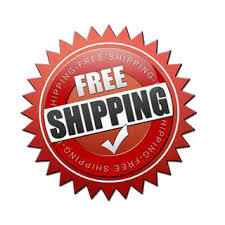 Click the button below to add the Belkin (Cisco) DPC3008 Advanced DOCSIS 3.0 Cable Modem + Netgear WNR2000 Wireless N Router (Comcast, Xfinity, Time Warner Cable, Charter, WOW, RCN + more!) to your wish list.